PBR. 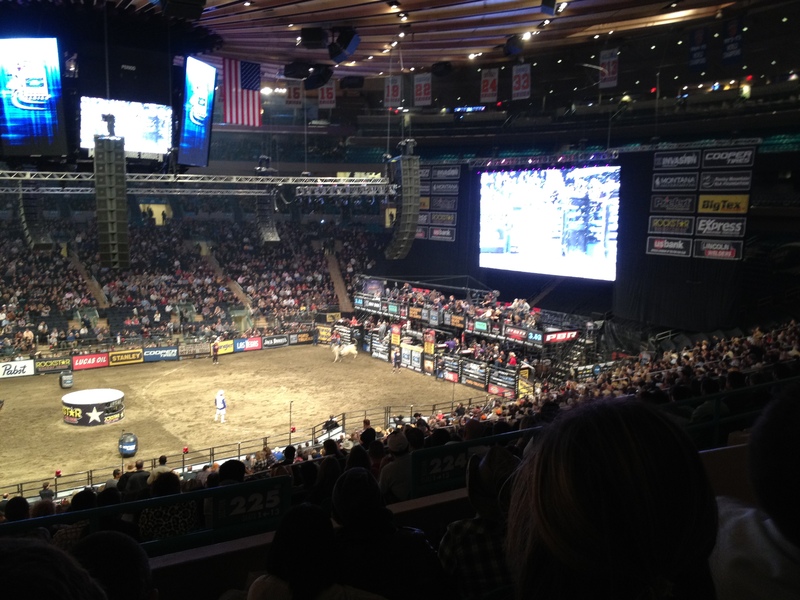 Professional Bull Riding. Or Pabst Blue Ribbon (the official sponsor of the PBR circuit). I’ve watched them bring in the bulls every January now but never really investigated tickets. This was the year. And you know what? It was really really entertaining. And cringe inducing. 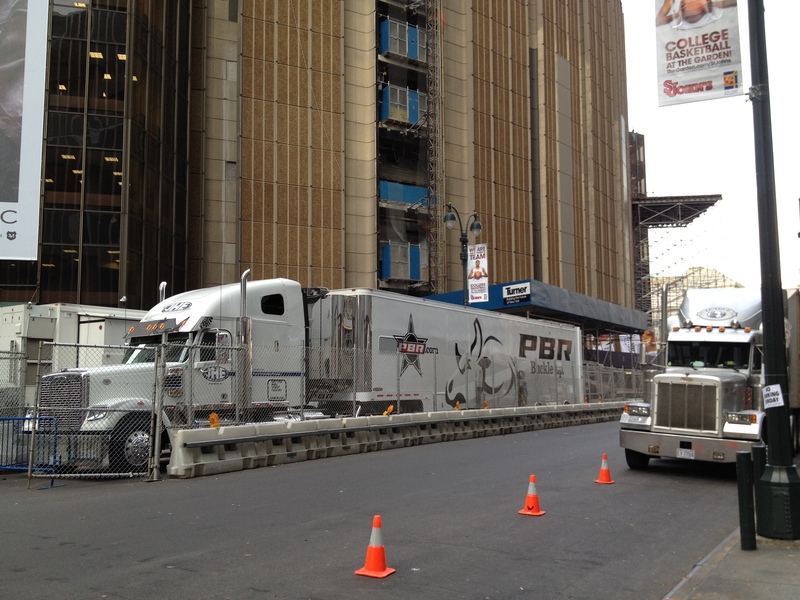 The 2012 circuit kicks off for 3 days of competition in NYC. It’s the oddest mix in New York, too. People who clearly are into cowboys and bull riding with real hats. And 25 year old banker types breaking out the flannel shirt. These guys are tough, I don’t know how they stayed on those bulls. Lots of core strength? The night ended with a Pistol (yup, that IS his first name) being carried off the floor on a stretcher. I checked today and he was having surgery on both legs (the bull stepped on him). The highlight? Cord from The Cowboy team of the Amazing Race! !